1) To Sag Harbor, where the factory in which a large cohort of young working women licked the brushes they used to paint glow-in-the-dark watch faces. They later died horribly of radium poisoning, their teeth more devastated than a meth addict’s. The building is now being “repurposed” for high end condo buyers: spa bathrooms, “light drenched” living rooms, chefs’ kitchens and hefty monthly charges. But we didn’t stay there. We visited one of our oldest friends still on earth — and lazed in his backyard, and talked all night. Also had a long liquid lunch at a restaurant on a spit overlooking bay waters, somewhere off Bridgehampton, with an umbrella to tame the dazzle. Thank you LYNN. 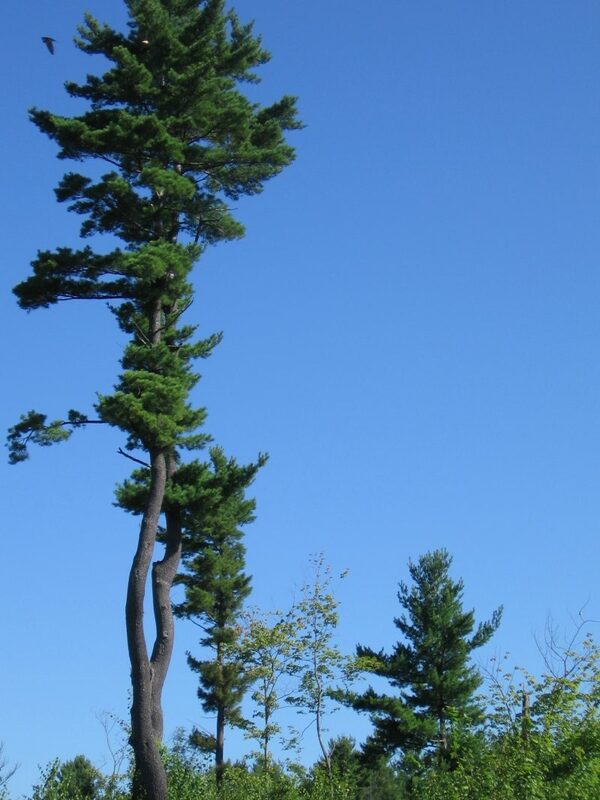 2) To Wynncot in Northfield, Mass, where the faint scent of “The Great Awakening,” of Christian work camps and fresh air idealism still drifts like the smell of hemlock needles. 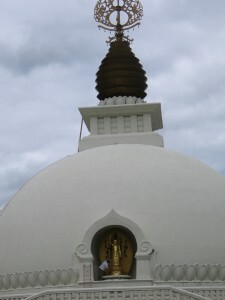 It’s amplified today with Eastern hopes: The Peace Stupa, e.g. But better, it harbors birds, trees, and friends in a wonderful huge house: once an Arts & Crafts summer “cottage” and later in turn a school, a youth hostel, a nursing home, a bed and breakfast. The house sits on a hilltop that was once an island in Lake Hitchcock 15,000 years ago; the retreating ice sheet and a huge dump of glacial trash at the bottom blocked what would become the Connecticut River. 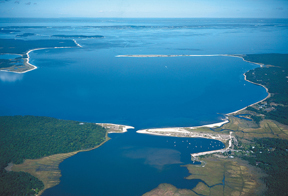 The lake was 200 miles long before it burst through and roared out into Long Island Sound. The biggest noise at Wynncot this summer was a dinner party, where we feasted on lobster and corn. Thank you ED, and LISA too. 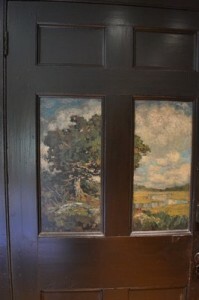 Door in the dining room, Florence Griswold home. 3) And finally we missed the Climate Change march because we were having a delightful weekend with Mark and Rachel in New Haven…with visits to Yale Art Gallery,the Center for British Art and that haven for polite early 20th century landscape painters, the boarding house of Florence Griswold in Old Lyme. Sure made us know how badly we all needed (still need?) the modern. But we did see a great folk art exhibit on loan. THANKS Mark, Rachel, and Lissa! Fall today and crisp cool & sunny. If you are acculturated to school –and who isn’t– fall always begins a new year, a new start, something new to read, to smell, to wear or at least something unworn since way last May. New Year, even if one isn’t Jewish! Posted on September 23, 2014 by Martha King. This entry was posted in ART, Basil King, Exhibitions, Martha King, News and tagged Basil King, Martha King. Bookmark the permalink. Sounds like a nice summer! Was that the Bulova building in Sag Harbor? I know of one woman who worked there.